Characterized by its light weight, resiliency, low odor and high resistance to mildew, polyurethane foam is used extensively in common consumer goods such as seating, flooring, and bedding products. 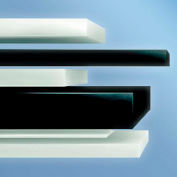 These foams have consistent cell sizes that make them excellent absorbers and dampeners of sound and are easily laminated to films, pressure sensitive adhesives, corrugated, fabrics and other types of foams. Fabrication is easy with inexpensive tooling such as steel rule dies for die cut parts to patterns for contour and saw cut shapes. Used regularly in medical packaging where abrasion resistance is required, this open-celled foam is typically used to protect lighter weight, delicate objects with high fragility and/or lower drop height maximums. Polyurethane foam provides excellent cushioning at a very reasonable cost and can be easily fabricated to fit your particular application. 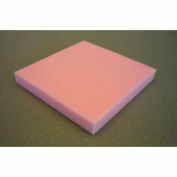 Polyurethane Foam is a resilient and flexible and can be made in an unlimited number of colors with densities from 1-6 pounds per cubic foot, and in compressions from very soft to semi rigid. It is available in two primary types, polyether and polyester. 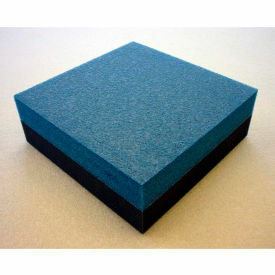 Best of all, Polyurethane foams are inexpensive when compared to all the cushioning products available today. DENSITYCharcoal 2.2 lbs./cu.ft. 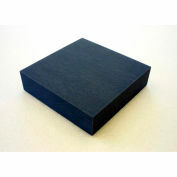 ; Blue 1.8 lbs./cu.ft.